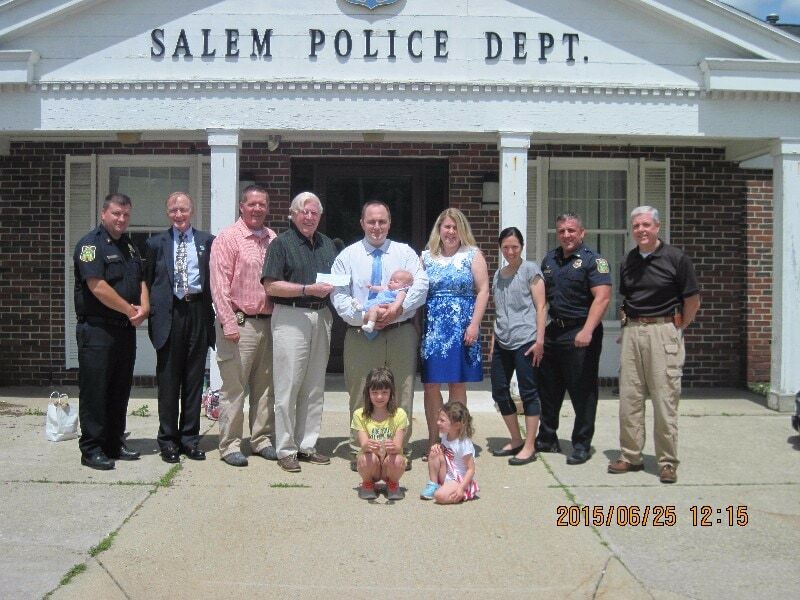 On June 25, 2015, Cops For Kids With Cancer went to the Salem, NH Police Department and made a $5,000.00 donation to the family of Emma Dowgier, a 5 month old girl from Salem, NH who has brain stem cancer. In photo left to right, Capt. Jim Shafe, SP Lt. Det Bill Coulter, CFKWC, Det. Sgt. Thomas Kengh, Bob Faherty, Dad Joseph holding Emma, Mom Casey, Maria Kengh, Lieut. Rob Morin and Chief Paul Donovan.